Wings of The Fallen is Released! 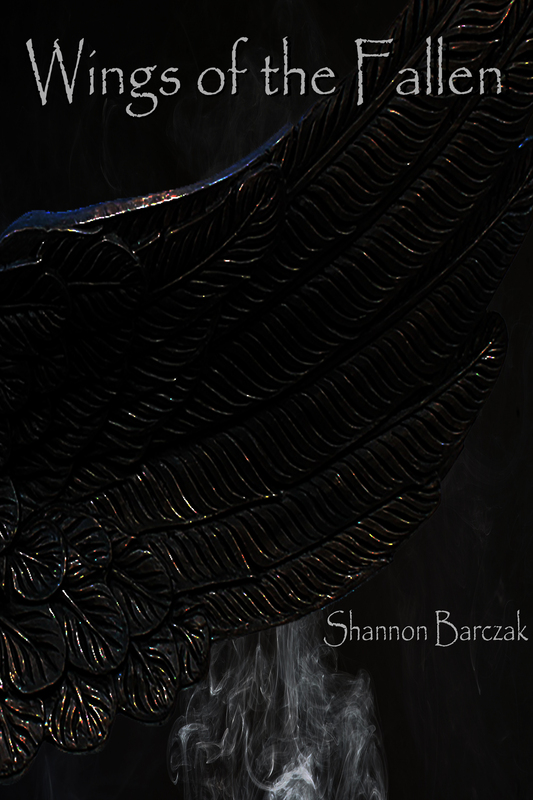 I am excited to announce that Wings of The Fallen, the Huntress Chronicles Part I, has been officially released! I’m also happy that I finally feel comfortable enough to discuss this book. I think every author can become protective over their work and since I went through a bit during the writing process with this one, it’s been almost cathartic to see it finished. This particular story popped into my head after I moved back to Charleston, SC. I wanted to set a series in my adopted hometown and the minute I started to brainstorm, the story slowly came to fruition. That was over three years ago. Unfortunately, I kept pushing this project to the side. The Hidden Realm Series became more of a pressing priority and I can honestly say that I wasn’t quite ready to write Wings of The Fallen just yet. When I did start writing, I am ashamed to admit that I lost the story after a few chapters. I had to step away and I realize now it was because I needed some time off from writing altogether. After a few months though, the words flowed and the entire book came together exactly how I wanted it to emerge. Not only did the first trilogy wove itself perfectly in my brain, but the idea for two more trilogies also sprung from my mind. For a writer to lose their way and have doubts they will ever write again, make no mistake, it is traumatic, but also humbling. I think this is why I have felt so protective of this story and why I haven’t wanted to talk about too much. The first book is simply about a woman finding herself. She was lost in grief and then she is overwhelmed with startling truths. If you take away the magic and mythology, this is what the story boils down to in a nutshell. Through trial and error, Sloane finds herself and also discovers just how strong she really is as she journeys on this remarkable path. I am beyond happy and excited to share with you the start of her story. I have become slightly obsessed with these characters and I hope you will as well! Sloane Bowman has left everything she has ever known behind. After her mother and father were both killed in a mysterious accident, she flees her home, searching for peace in her grief-stricken state of mind and shattered soul. Almost immediately, she encounters two strangers who point her in the direction of Charleston, SC. The historic city intrigues her, but before she can catch her breath, a long-forgotten person from the past reveals himself to her and her life is turned even more upside down. Sloane finds herself plunged into a world of incredible myths and ancient legends. A world she had only ever read about in books was now her reality. The truth about who her parents were in a former life and what this means for herself, overwhelms and distresses her at first, but she conquers those fears and she must not only accept her lineage, but also her fate. Her newfound family provides her with the help and support she desperately needs, but a devastatingly handsome and dangerous vampire challenges her at every turn. Sloane discovers not only who she is meant to be, but also the true meaning of trust and faith as she navigates down this treacherous new path. You can purchase the e-book or the paperback version (or both!) below! Welcome to Charleston and I hope you enjoy the Holy City and all that lies beneath it as much as I do! Previous PostWings of The Fallen BlurbNext PostWings of The Brave is Released!